LeadingAge Texas membership contains individuals who are eager for opportunities to enhance their leadership capacities and would love to participate in our educational opportunities throughout the year. But they need your support! Please consider making a donation to the EIA scholarship fund. 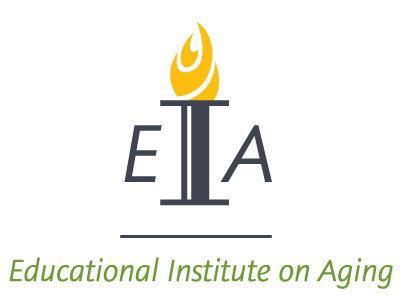 The Educational Institute on Aging (EIA) is a 501(c)(3) subsidiary foundation of LeadingAge Texas that serves as a forum to promote accessible education opportunities and professional development to LeadingAge Texas members. The proceeds from the EIA scholarship fund allow for LeadingAge Texas members to attend educational events throughout the year including the LeadingAge Texas Annual Conference & Solutions EXPO. Over $14,000 in scholarship funds was awarded last year to members who span the spectrum of aging services disciplines—from students working toward careers in the field to those currently serving older Texans as certified nursing assistants (CNAs), nurses, HR professionals, social workers, chaplains, and more. By nature of the LeadingAge Texas membership being made up of not-for-profit aging services providers, tight budgets come into play & some members experience difficulty in funding employees' professional development. Thus, EIA scholarships are a much needed option—access to continuing education & professional growth are vital to retaining quality employees, encouraging future leaders in the field, and providing exceptional service to older Texans throughout the spectrum of care! By 2030, 71 million Americans will be over the age of 65. To meet demand, LeadingAge Texas members are striving to be more strategic, innovative, and effective in achieving their missions. We need more strong, forward-looking leaders to advance the field of aging services. LeadingAge Texas strongly believes that opportunities for continuing education and professional growth are vital to retaining quality employees, encouraging future leaders in the field, and providing exceptional service to older Texans throughout the spectrum of care. Your donation will assist in providing our members with the necessary educational opportunities for growth and leadership. This fund was established in 1991 to honor Dr. Herb Shore and serves to provide scholarships and conference grants. Established in 2003, this scholarship assists a CNA or nurse aide from a member organization with travel expenses to attend the LeadingAge Texas Annual Meeting.